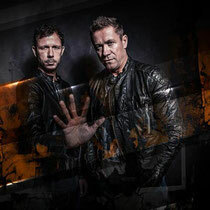 Cosmic Gate recently revealed plans of their Winter Music Conference movements. Having been bunkered down over the last few months, putting the last finishing touches to their new artist album, Miami will be the place where you’ll be hearing premiere spins of many of its new tracks. Details of the first gigs are below with the likelihood of more to follow. Wednesday 26th will see Nic & Bossi at Set! 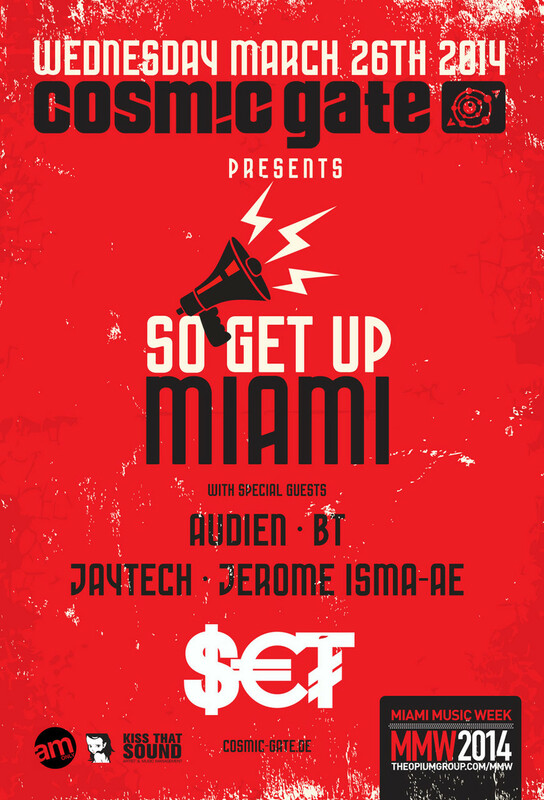 The Lincoln Rd sound emporium will be playing host to the duo's So Get Up Miami special. Also on the decks on the night will be Audien, BT, Jaytech and Jerome Isma-Ae. Named, last year, by the Miami New Times newspaper as “one of the 10 best EDM cruises”, 2014 will mark the fifth year Cosmic Gate have triggered a yacht-born storm in the waters around MIA. Along with Nic & Bossi for this trip will be fellow brothers in sound Ørjan Nilsen and DJ Row, as well as a few surprise guests. 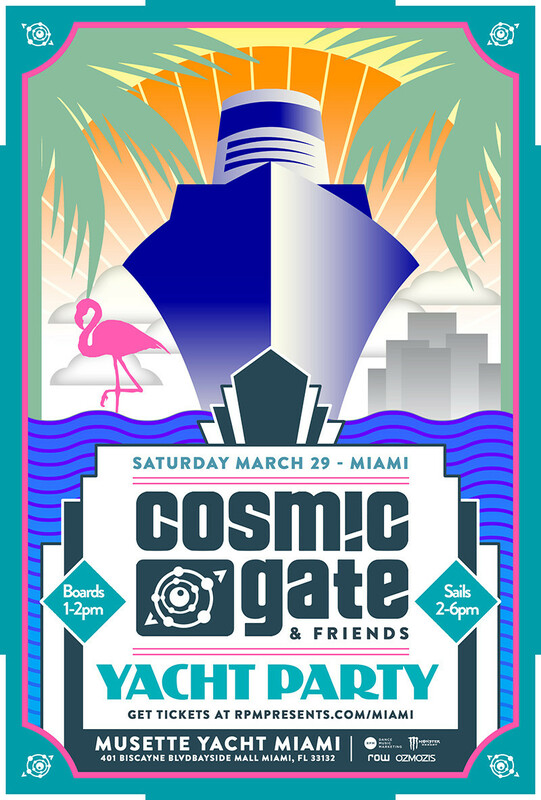 The Cosmic Gate Miami Yacht Party has sold out far in advance for the last four years straight. Sunday the 30th and it’s ‘the big one’! 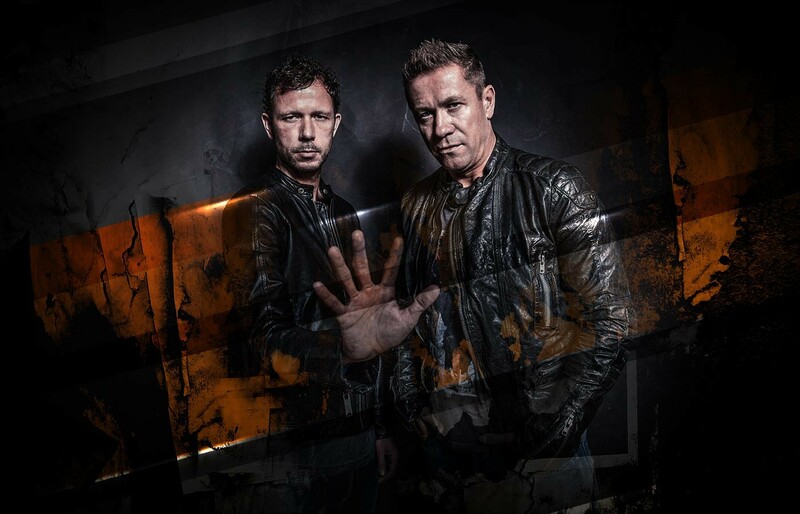 After a top set inside the Mega Structure arena in 2013, Cosmic Gate will be back to do it all over again… Framed by the downtown skyscrapers, the A State Of Trance 650 – New Horizons is the stage for the duo to finish the week.